Marko’s house was built on the land which belonged to family Vukovic, consisted of six brothers, three priests and three naval captain. They sailed their sailboats and traded all over the Mediterranean, and finally decided to get married with three Spanish women and build them a big house (Paloc) on their land, just where was Marko's house. They offered Marko huge ransom, but Marko did not want to sell his house. The brothers asked for help city mayor Vuzic, to help them in mediation, but Marko had a fight with the mayor and threatened him with death. Because of fear of retaliation had to flee from Bol to Dubrovnik Republic. Brothers Vukovic started the construction of new big house around Marko's house, which was later planned to demolish. When Marko heard it, he went back and placed the explosive under the walls of the new house. 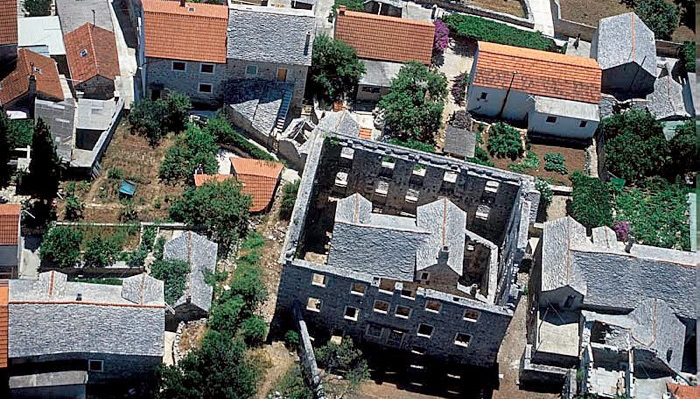 Demolition was prevented by gendarmes and he again forced to flee to Dubrovnik Republic. Vukovici continued building, built three floors and they only needed to set floors and roof, so they traveled to Venice to get a timber. They loaded the boat and headed back to Bol, but on his return great storm took them and sink the ship and nobody was saved. As neither of six brothers had children the genus Vukovićevih has extinguished. 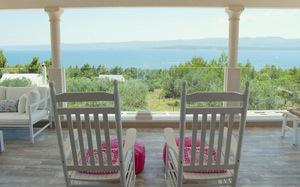 Few years after that Marko Sila returned to live in his house, now known as the "House in a house" or “Kuca u kuci”.